Bayless High 63 grads are starting to discover facebook, probably because their kids are leading them there. Shirley Ross Wildhaber just added me as a friend on Facebook, her profile says: I am Shirley Ross Wildhaber. I am 63 yrs. old. I graduated from Bayless High in 1963. I was married to Tim Wildhaber (my high school sweetheart) for 39 yrs australian viagra. until May, 2003 when he died of cancer. I have 3 sons. Tim, Ricky, & Kristofer and 2 grandchildren. Nancy is going to be an Editor here now with full site access. She’s a little closer to the Bayless High scene than me, being just two miles away from the school. 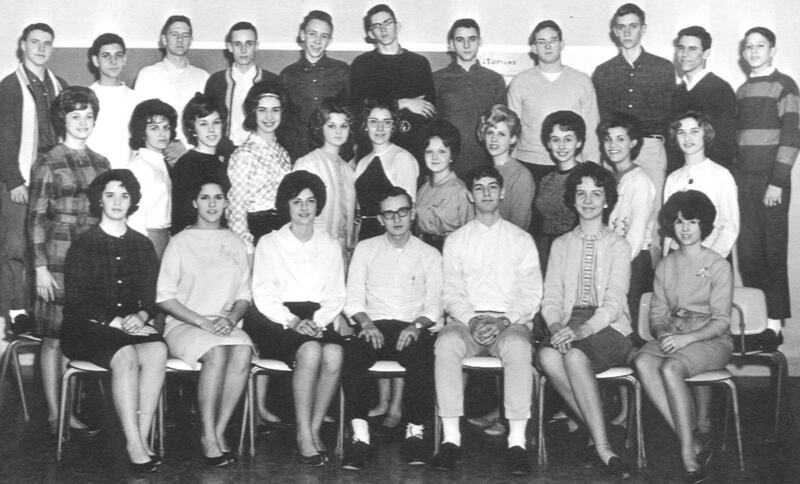 Please help her update the class list so we can move forward on the 50th reunion. Nancy’s a historian now so what better person to recount Bayless High in the 60s. She’s up for the 50th reunion also, so help her round up folks for that in 2013. And if you would like to write a “memoir” or article we can give you author access to the site just like Nancy. Or just email it to her or me and we’ll reprint it. I was so surprised to find this page pop up! I have thought of doing this myself, but always just to busy to sit down and get it done. I have been hiding in St. Louis all the time. Same address on Vasel Drive except for one year, but the phone number changed when I lived away for the one year. Current phone is 314-544-1006. I’ve had a wonderful and interesting life thanks to Mr. Raymond Keller’s history classes. Too much time on my hands while raising four children so I began traveling all over the US and Europe doing American Civil War re-enactments and reproducing the historically correct clothing needed for the hobby. It became my business. My latest venture was making the uniforms for the 200th anniversary of the Louisiana Purchase. Life’s been a blast, would like to see you all……any reunion planned? I went to several of the Bayless School Reunions, but only met two members of our class in two different years. I quit going because there was no one from our Class showing up. Join our 50th reunion celebration in 2013! Bayless High! Get in touch and we’ll help you do it. It’s been 45 years for the Class of 63! What’s everyone doing now? and hopefully others will join us soon. and we’ll scan and post it here (Paul Terry Walhus, 182 Clover Rd, Cedar Creek, TX 78612). . . tell us about yourself. gallery which consists of most of the 63 Oracle. Stay tuned for some new features coming soon to the Bayless High website.